Our vegetable season has ended. 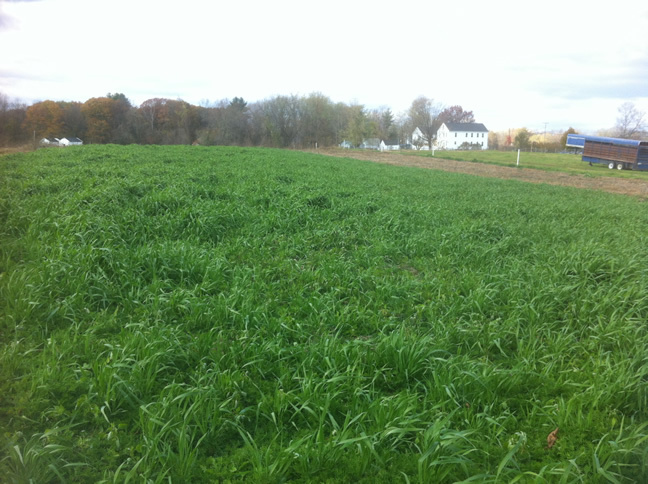 The harvest is finished, and Bill has planted a cover crop of oats and vetch to prepare the soil for next year. Although the cattle and the pigs are keeping Steve very busy, we are reflecting on our first summer of vegetable production. We certainly thank you, our customers, for your business. But we get more from our customers than pure business transactions. We get a lot of moral support—and never more than this year as we figured out our vegetable operation. We thank you for teaching us the meaning of “Community Supported Agriculture.” I used to avoid that term in favor of “vegetable subscription.” But I think “Community Supported Agriculture” fits now. Our community is part of us, and we are part of it, and we are grateful. Beautiful sentiments. I am grateful to be able to participate and for your passion in creating, in our area, Community Supported Agriculture. Thank you. Isabelle Lovell.